PURE Insurance Group is a longtime supporter of ICU baby, sponsoring fundraiser events Cocktails for a Cause in 2016 and A Celebration of Miracles in 2016. PURE further solidified its partnership with ICU baby this Spring during Volunteer Awareness Month. 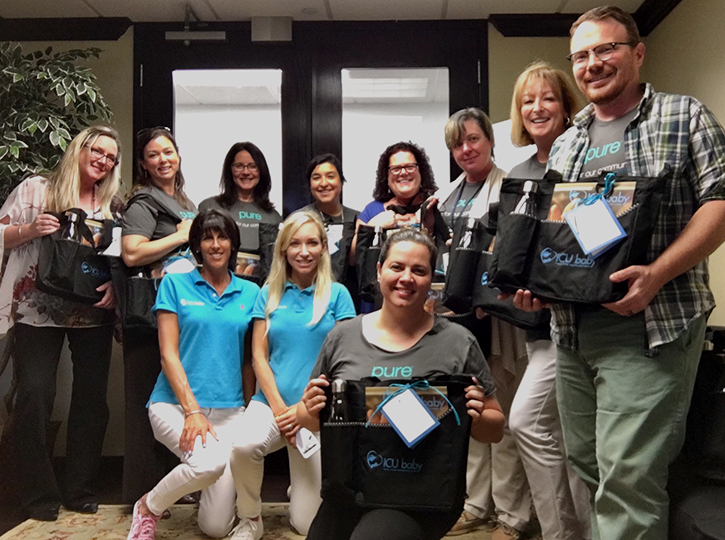 A team of 10 of PURE’s executives from around the State of Florida assembled to pack 50 NICU Packs for the NICU families of Holtz Children’s Hospital at UM/Jackson Memorial Medical Center. ICU baby is grateful for their continued support.